Portobello mushrooms also known as Agaricus bisporus is an eatable basidiomycete mushroom usually grown in the grassy areas on Europe as well as North America. During the period it is immature, it has two color states which include brown and white. During its period of immaturity it is known as champignon mushroom, table mushroom, cultivated mushroom, white mushroom, button mushroom and common mushroom. As its color changes to brown it is called as Swiss brown mushroom, Roman brown mushroom, Italian brown, Italian mushroom, cremini or chestnut mushroom. In this article I shall be discussing how to grow your own Portbello mushroom so far. You can do this by two ways which are as follows. The main month is which this species of mushrooms are grown is November. It is extremely simple, easy and loaded with fun. These are served in many of the restaurants and are usually grilled. They are allowed to unfurl their caps that are generally four to six inches in diameter. This process is sometimes known as capping. They can grow up to 1 foot across and include a brown color when they are mature, as mentioned before. The simplest way to grow them is to buy a handy mushroom kit. It costs less than $50 and all you are required to do is to open the box, then mist it and after this it needs to be placed in a cool and dark place. Another thing that you can do is that you can purchase Portobello mushroom spores. This technique is also known as sporing. You will need to create a suitable surface with all the moisture and warmth in order to plant these spores. 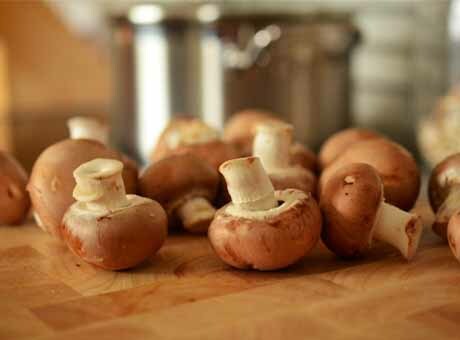 If you are doing this process indoors, then it is particularly easy for you to control the environmental conditions in which the mushrooms may thrive. You will also need a growing tray. It has to be 8 inches deep in order to hold compost, and the spores along with the peat moss. If you partially decompose the compost then that would be great for the appropriate growth of the mushrooms. Temperature should be maintained anywhere between 65 and 70 degrees Fahrenheit so far. You will also need around two cups of dried spores for every 6 to 8 square feet of the tray. It is required to be filled with about two inches of compost, and after this the spores need to sprinkle. This process is really important if you want the perfect output. Unless and until you see the mycelium growing you need to place the tray in a cool and dark place. After this process, the tray needs to be covered with a 2 inch layer of damp or moist compost. Finally, after some time you will observe the growth of the mushrooms. The newspaper needs to be removed then and it needs to be misted on a regular basis. As they grow up to 4 to 6 inches in diameter, then you need to harvest them. This process is known as harvesting. This way you can start growing Portobello mushroom at your home indoor for your personal use or for your small business. But if you want to grow them in mass quantity as business, you can follow step but in a bigger place.